Download Shine : Weather free via AppsHawk. 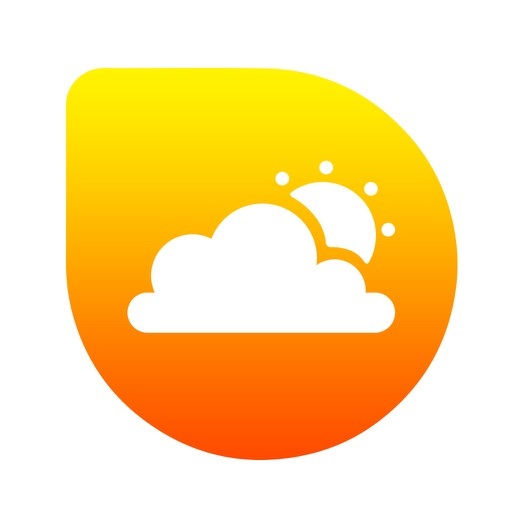 Shine - probably the most beautiful weather app for your iPhone. 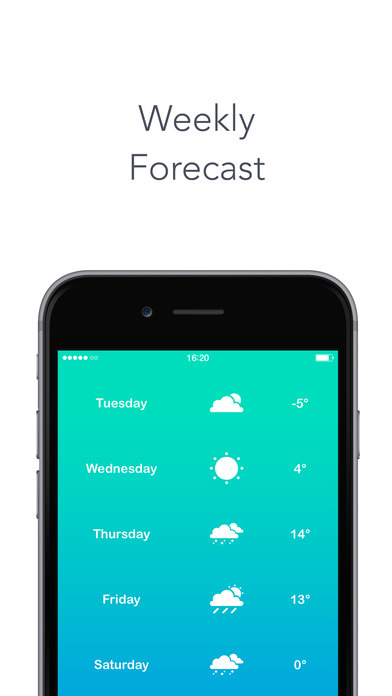 Shine gives you current weather conditions and a 7-day forecast of worldwide weather stations. The information is visualised with beautiful full screen backgrounds representing temperature. 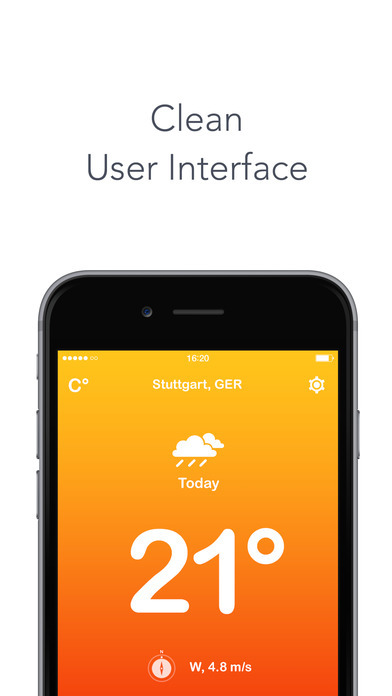 - Weather details for an unlimited number of cities. - Fully functional on iPhone and iPod! 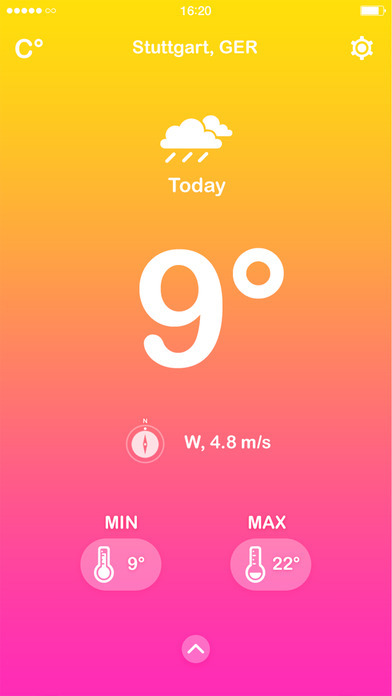 - Standard weather info like condition and temperature. - Wind direction and speed details. - Weather forecast for a total of 7 days. - Swipe the screen left or right to switch between selected locations. Shine is designed to be your daily companion for your basic weather condition needs and will dramatically improve your connection to nature's elements.